* Intake Tube Made from High Density Polyethylene Airaid intake systems are specifically designed to take full advantage of today's vehicle technology, thereby increasing engine efficiency and horsepower output. 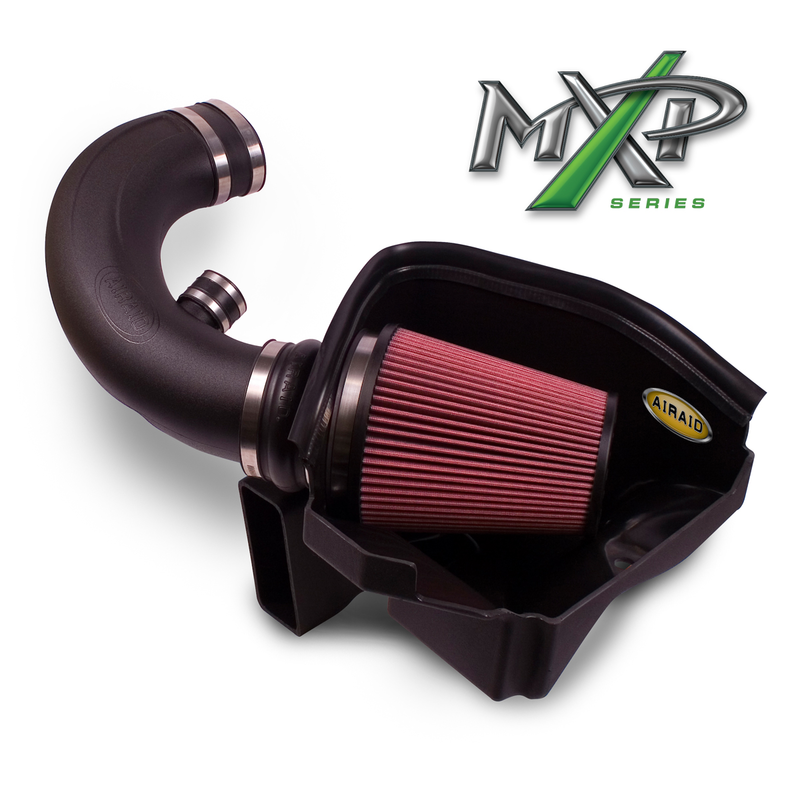 Their unique inlet and track filter combination is substantially less restrictive when compared to OEM-type airboxes, improving airflow by up to 20 percent and power by as much as 18 hp. Specially designed splash shields protect the filter from engine heat and inclement weather (tube-type and splash shields depend upon the application). The filters are washable, reusable, and will last for the life of the vehicle. Lastly, Airaid intake systems are easy to install with basic hand tools in as little as 30 minutes, and no fabrication is required. No one else gives you the bold clean styling of our Aftermarket Dress Ups, Suspension and Performance Parts for your American Muscle Car like UPR Products! Click Here for Instructions Fits these Vehicles: 2010 GT 4.6L V8 Mustang Roush & Saleen Vehicles. Made in the USA!